It’s almost time to tee up for the 30th Annual CalvertHealth Foundation Benefit Golf Classic on Monday, May 6 at Old South Country Club in Lothian, MD. Proceeds from the annual tournament will be used to support the CalvertHealth Oncology Navigation Program. This program connects patients with a nurse navigator to coordinate care between healthcare providers and the patient. During a time that can be daunting for most patients, nurse navigators link patients with the most appropriate healthcare resources available. These trusted advocates help patients navigate the process throughout their cancer diagnosis. The tournament is once again returning to Old South, recognized as one of the best courses in the mid-Atlantic. The Foundation is proud to partner with Old South Country Club for the annual tournament. “We look forward to seeing our supporters and golf enthusiasts enjoy a fun day on the green,” said event chair Pat Petricko. Various sponsorship levels are available including tee signs, foursomes and corporate packages. There will be one shotgun at 10 a.m. Space is limited and early registration is encouraged. Since the tournament began in 1990, it has raised more than $1 million for equipment and programs such as the patient portal, giving patients access to essential medical information; enhanced lab technology and equipment; and most recently, funds to renovate the medical center’s behavioral health unit. 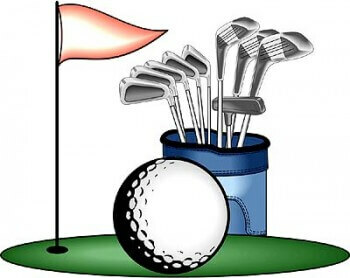 Those interested in registering or sponsoring the event can contact the Foundation Office by calling 410.414.4570 or visiting their website at CalvertHealthFoundation.org/BenefitGolfClassic.